'The South Cotswold Ring' is a unique village-to-village walking tour, which offers walking in some of the least visited parts of the Cotswolds, following a circular route of just over 70 miles/112 kms. 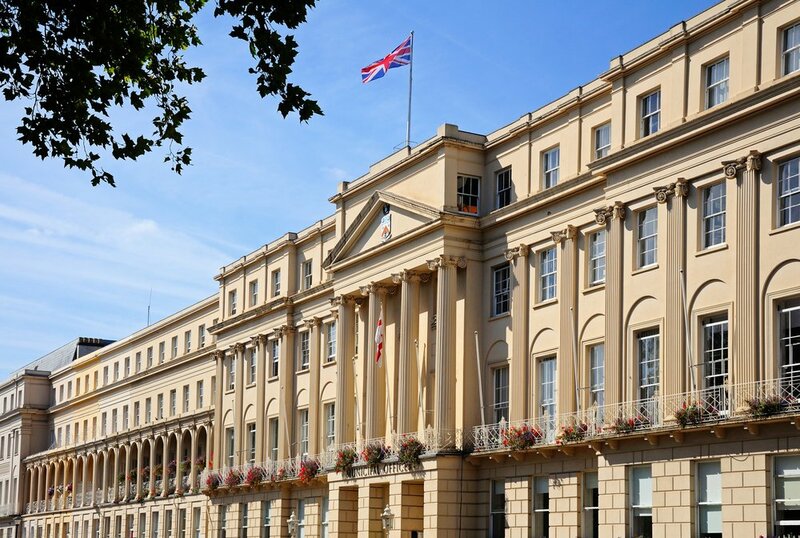 Day 1: Overnight in Regency Cheltenham. Day 2:Cheltenham to Bourton-on-the-Water (24 kms/15 miles) From Cheltenham climb gently up the Cotswold escarpment to the high wolds and head towards the lovely villages of Naunton and Guiting Power. The trail follows the pretty River Windrush, passing through the site of a 'lost' medieval village, before entering Bourton-on-the-Water with it many attractions. Day 3:Bourton-on-the-Water to Northleach (17 kms/11 miles) The route passes through Bourton's water park then ascends to the Rissingtons, before descending to Sherborne and then on to the historic village of Northleach with perhaps the finest of all Cotswold wool churches, as well as a fascinating museum devoted to mechanical music. Day 4:Northleach to Cirencester (22 kms/14 miles) Pass close by Hampnet with its charming church and head across country towards the palatial magnificence of Stowell Park. Arrive at the village of Chedworth with its welcoming pub (and nearby fine Roman villa), before walking to Cirencester, the second town of Roman Britain with its excellent Corinium Museum, market square, and the largest parish church in England. Day 5:Cirencester to Painswick (21km /13.5 miles) From Cirencester walk to Sapperton, once a centre for William Morris's Arts and Crafts Movement. Follow the remains of the Thames and Severn Canal (one of the great feats of 18th century engineering) and pass through a succession of tranquil villages to Bisley with its handsome church and 'Poor Soul's Light', before journeying through woodland to Painswick, 'Queen of the Cotswolds'. Day 6:Painswick to Cheltenham (20kms/13 miles) From Painswick walk across Laurie Lee's 'Cider with Rosie' country to Sheepscombe, charmingly scattered along a beautiful valley. Through woodland and across country to Birdlip, joining the Cotswold Way to walk along the Cotswold escarpment with far-reaching views across the city of Gloucester to the Malvern Hills and the Welsh Mountains, before descending into Cheltenham. Optional extension to Burford from Bourton on the Water making this a 7 night holiday. From Burford walk along the pretty Windrush valley and passing through a succession of charming villages, including Windrush, Sherborne and finally Northleach with perhaps the finest of all Cotswold wool churches, as well as a fascinating museum devoted to mechanical music. Additional cost: £50.00 per person staying in B+B £85.00 per person staying in hotel such as the Bay Tree or similar. The nearest airports are London (Heathrow), Birmingham and Bristol. Rail: Cheltenham is served by frequent trains, with some direct trains to London (Paddington), Birmingham and also Bristol. We all want to thank you for the wonderful experience of our Cotswold walks!! The arrangements for our overnight stays were all super. We held an informal “vote” on the favorite one and found all were favorites but in various categories. No one can top Karen in Cheltenham for warmth, helpfulness and comfort. She was the perfect first hostess. Historically, staying in Wesley House was a treat. It also got top honors for serving oatmeal with Drambuie for breakfast! Hadley House offered excellent accommodations and an elegant breakfast. We were in two different B&B’s in Moreton-on-Marsh, so we couldn’t vote there but both places were very nice. But the best all-around winner has to go to Cherry Trees in Chipping Campden; outstanding comfort, great breakfast, and warm and friendly hosts. The top winner for restaurants was a Greek restaurant in Chipping Campden. There were lively conversations on which way was the ‘right’ way on some of the walking directions, but that created a lot of fun and joking among us. The only thing we wished for was some indication of when we were at half-way or 3/4 of the distance while on each segment. Because we stopped to take pictures, admire the views or have a snack, the amount of time from when we departed from the B&B each day was of no help. So…that’s our only suggestion….just a general or approximate indication between walking segments would have been good. The maps helped, but topography sometimes affected travel times. We have already started recommending your services to anyone who seems interested in our trip. You may have already received an inquiry. Even though we didn’t need to call you, it was a great comfort to know that you had given us your cell and we could trust you to come to our aid. You were very patient with all my questions in working out the details before the trip. I, especially, am grateful to you. A word about the people we met, both locals and fellow travellers……Everyone was wonderful, helpful, cheerful….not a single grumpy or disinterested person. What a wonderful place the Cotswolds are! !